Update – 10th December 2018 – Due to the high volume of requests, our applications’ process is now closed. Thank you for your understanding. 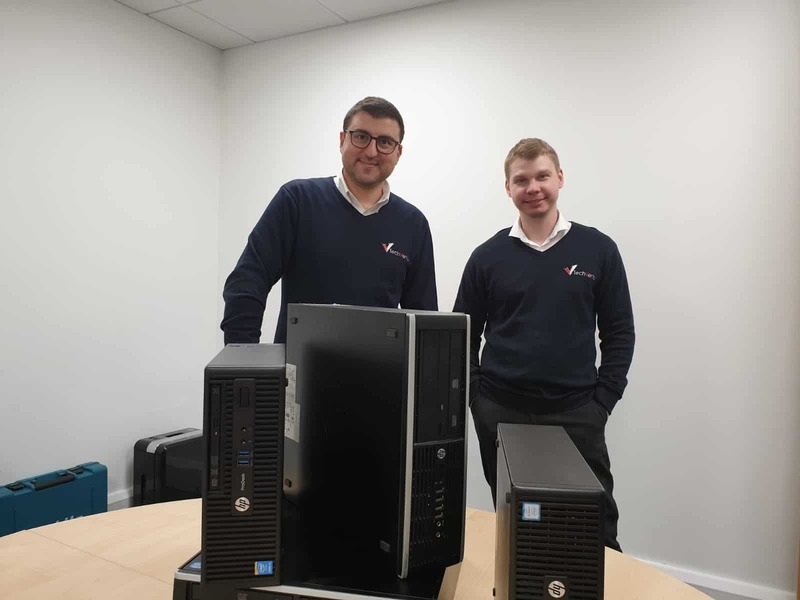 TechVertu, an IT & digital marketing agency based in Grays, has 35 desktop and laptop computers to donate to local schools, charities and any other commendable causes in need of this type of equipment. The company is asking all of those interested to get in touch by email or post stating how many computers they need and why. All applications must include the organisation’s name, address and registered number if applicable; name and contact details for the person applying; and any additional information and documents to support the application (optional). All the equipment is used but it’s in perfect working condition and it will be donated to institutions located in Thurrock and the Essex area. The applications can be sent by 15th January 2019 to vania.furet@techvertu.co.uk or by post to: TechVertu, London Road, Grays, Essex, RM20 4DB. TechVertu will then choose one or several institutions or causes to receive the IT equipment in the new year. “We don’t want to do just a random donation; we want to feel that we’ve made a real difference. As a small, local new business, we want to help other people and other businesses to thrive. That’s our motto”, says the company’s Managing Director Hadi Marashy. TechVertu has launched this donation campaign to celebrate its first anniversary, just in time for Christmas. The business was born in November 2017 when the John F Hunt Group invested in a small company, at the time named Ruuz. What started almost exclusively as a central in-house hub for the group’s day to day IT and marketing requirements, with only 2 employees, has quickly grown to a full service technological company. Currently with 12 members of staff, TechVertu has all the resources, time and expertise to support or fully manage the IT systems for any other businesses and it also offers comprehensive web development, design and SEO services to other companies. “We want to grow and have a positive impact in the local economy; we want to create more jobs, stimulate innovation, provide unique services to businesses in and around Essex and develop a strong corporate social responsibility”, Hadi Marashy states. In a year’s time, the business hopes to have increased the team by at least 5 new members and opened a small office in Central London to work close to some of its clients based in the city. “Our plans are bold and ambitious but we’re confident we have everything we need to achieve them”.